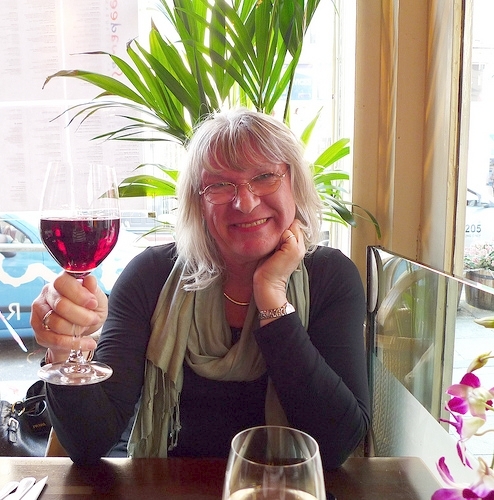 Christine Burns is probably one of the most important trans activists in Europe. In a world where we sometimes struggle for acceptance, Christine has not only transitioned successfully, but has been one of the finest and most eloquent activists there has been. So effective in fact that she was awarded an MBE by the Queen for 'representing transgendered people'. [Ed note:- the word transgender has a slightly different meaning in the UK to that in the US, and in this context is interchangeable]. You can find that speech on her blog here. It is as true now as it was then and I think will withstand repeated readings. Thank you Christine for having the foresight to keep your notes and re-posting them. You will all be pleased to hear that we now have another channel through which to deliver top quality posts from our community's bloggers, we've created a Twitter feed. This is an "Editor's pick" rather than simply a replication of the main T-Central blog list, so you will see us Tweeting quality posts that catch our eye for whatever reason. They may be on serious topics, deeply personal ones, the purely frivolous, or simply those that make us laugh. Some days you may see several Tweets, on others hardly anything. In addition we will use the Twitter feed to announce new blogs featured on T-Central, as well as new T-Central posts. 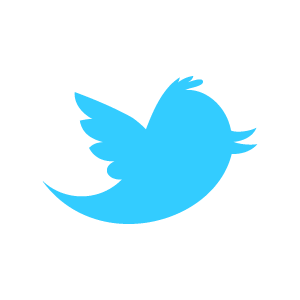 So if you are a Twitter user please consider following us by clicking on the button below, and retweeting us to all your friends. Because the bloggers we feature deserve as wide an audience as possible. Just a few days ago, we posted a link to a video by Janet Mock, writer and editor for People.com who, even though she transitioned years ago as a teen, went public about her transsexual history. She expresses the optimistic view: that people will continue to accept her and that by being open she can help educate people about people born with transsexualism. Blogger Teagan is finding that such optimism might be unwarranted. In her hard-hitting post asking the impossible? she wonders if those who knew her before can ever truly see the real her, no matter how hard they try. At what point does our own patience start to hurt us? Helen Boyd posted this video, by author Janet Mock, on her blog, En Gender. What a lucky girl to have friends, teachers and (presumably) parents who supported her transition at age 14. If you missed it on Helen's page, here it is. This blog post is not what you think, but it's something different from what we usually feature. The blogger is not trans and the post has nothing to do with being trans. It's just a "feel-good" blog post from an open-minded woman. Thanks to Lori for suggesting we feature The Boy in the Pink Dress. If you like it, let the blogger know that the TG community took notice. Lucy had her genital surgery a few months ago. Now, she shares a few thoughts on the journey ahead, in her post, An Entirely New Journey..
And, while you're visiting Lucy's blog, check out her royal wedding pictures and her Flickr page. This girl is a talented photographer. Thanks to Jenny for suggesting we feature this post. How do you know your decision to transition was correct? It is probably safe to say that the decision when to transition is one of the most important ones to be made in the life of a person born with gender dysphoria. Some people get it right and live happily ever after while others get it wrong and have to live with the consequences. Yet more of us spend a lifetime trying to avoid it, with varying degrees of success. Kathryn has made her decision on transition and is well on her way. Her latest post, "How do you know your decision to transition was correct? ", examines the motivations behind that decision and makes the point that transition alone is not a cure-all. Read it here, it's a powerful post. Now let me see if I can get this straight. 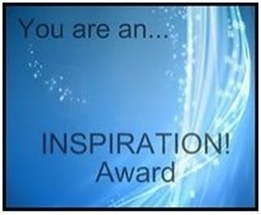 RL gave Joey the You Are an Inspiration Award. Then, the woman at the hairdresser's inspired Joey. Joey didn't give her an award, but he did write a nice blog post about her. But, Joey did feel that the award had to be passed on to someone or something. Go to Joey's blog to read the rest. Jenny lost a friend on the operating table. It's not what you think, however. There's more to this story. Got your interest? Go here to read Jenny's post. And while I'm at it, I'll go ahead and introduce Jenny as the newest member of the T-Central team. It's rare that we feature our own blogs, but this time Jenny gets a pass.